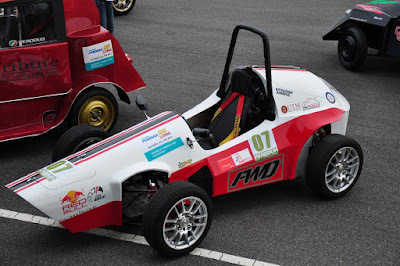 Wonder how UTM can convince the judges about the engineering ability of the car? 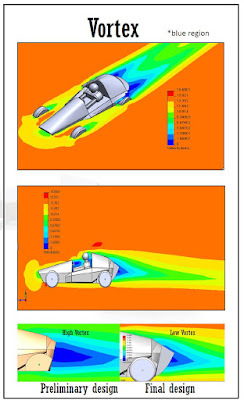 Here is the answer! 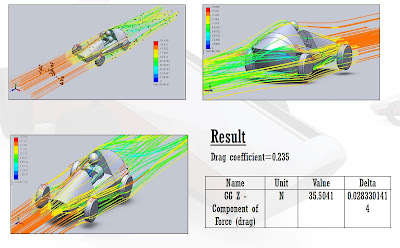 UTM visualize the car from the conceptual modeling to 3D modeling. 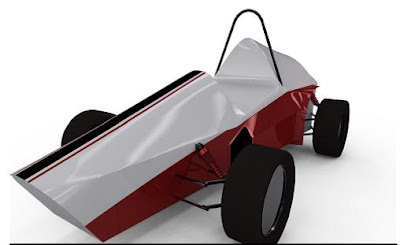 Waht the best thing when talk about 3D modeling is you might find that your design and actual product will looks the same! 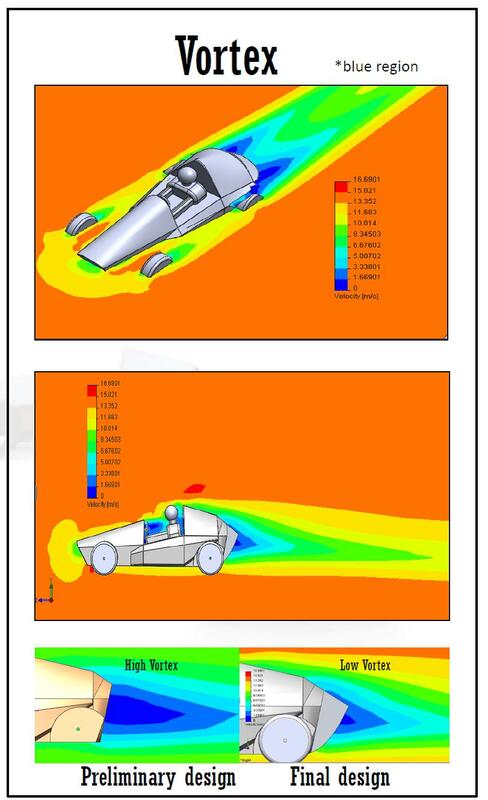 speaking of Engineering Drawing 101- SolidWorks 3D Modeling software will easily create most curves that is hard to be drawn in 2D drawing. 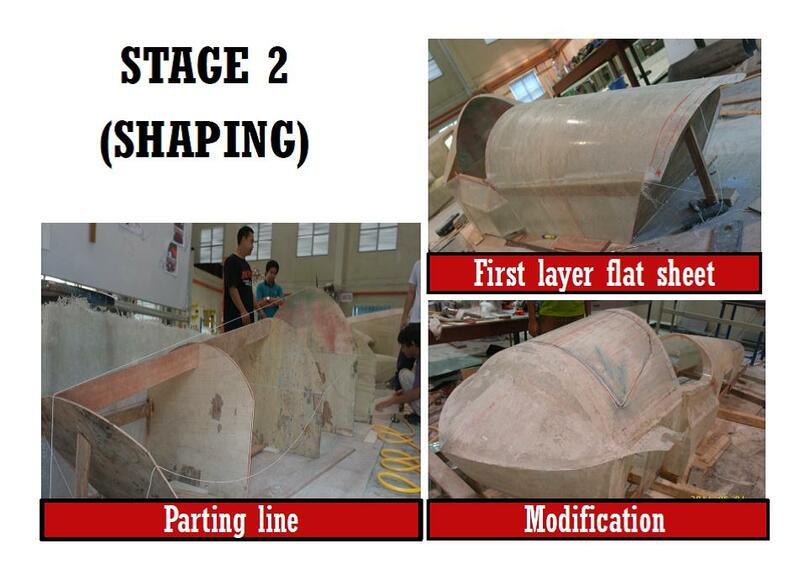 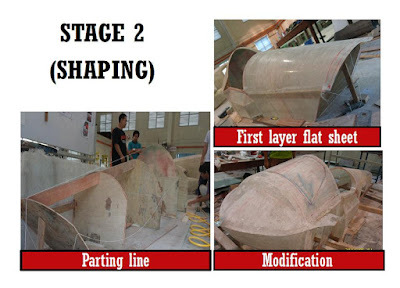 the curve that had been made in 3D will then read out as Drawing with exact parameter as what the 3D modeling have. 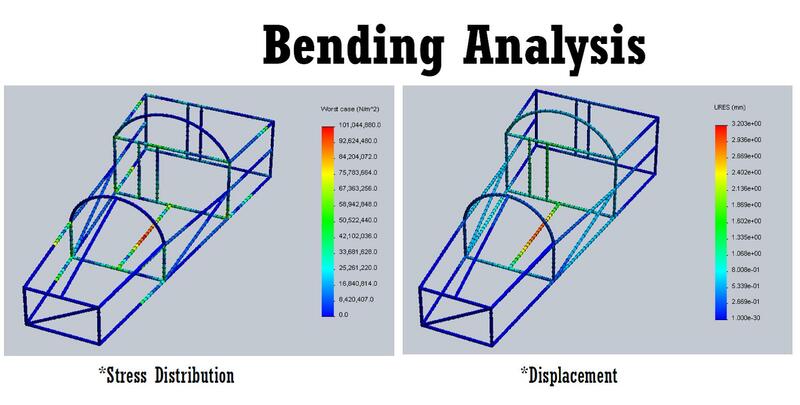 Providing the proof on bending analysis of the car frame definitely helps the team in term of fabricating the lightest frame as possible. 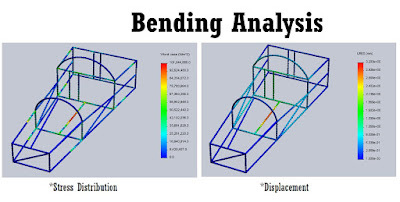 With the result of bending analysis using SolidWorks simulation software, the entire structure was calculated and the best design for framework with highest safety factor and lightest weight had been produced. Using SolidWorks Flow Simulation, the team had been able to provide evidence on the ability of the 3D modeling design to achieve desired coefficient of drag where at the same time the analysis will help the team to construct a model that produce lowest vortex as possible.